Blog Archives - Environmental Safety Consultants, Inc.
Certain businesses often ask us at Environmental Safety Consultants if they are required to apply for air emissions permits. The answer depends on what types of equipment they operate, what chemicals they use, and what kinds of pollutants they generate. Although the State of Florida reserves the right to permit any sources of pollution, it does not want to get bogged down with a multitude of small or “de minimis” sources.Why then are sources such as paint spray booths, dry cleaners, and fiberglass spa manufacturers regulated? The answer lies in the pollutants generated. Certain chemicals such as methyl ethyl ketone (MEK) in paint or solvents, tetrachloroethylene or perc used in dry cleaning, and styrene in fiberglass manufacturing are categorized as hazardous air pollutants (HAPs) by the U.S. Environmental Protection Agency (EPA). You can find information on the EPA at www.epa.gov.These chemicals present a higher risk to human health than others and, consequently, are regulated more strictly. Beyond HAPs, those sources that can generate a significant nuisance such as blowing dust, paint overspray, metals, or fuel odors are also targeted for permitting. General usage of solvents and chemicals inside a facility can require an air permit for fugitive emissions since there is no single emissions point such as a smoke stack. Obtaining an air emissions permit for a source, even a small one, can be a lengthy, complicated, and expensive process for any business. Fortunately, there are some less harrowing alternatives for certain sources. Additionally, modifying the process or substituting less hazardous materials or chemicals may eliminate the need for a permit or may simplify the permit. Reducing the amount of material escaping to the atmosphere can drop a source’s emissions below a permitting threshold.For common sources with similar operations, there may be a general permit available with less rigorous application and compliance requirements. To determine permit requirements, businesses must review their operations, chemicals, controls, and pollutants. With this information, they will be ready to determine permit requirements. There are a few different types of air emissions permits. Title V Permits cover the largest sources and are the most complicated to obtain. For smaller sources which still require an individual permit, there is the Federally Enforceable State Operating Permit (FESOP). Finally, there are General Permits for commonly encountered sources such as concrete ready-mix plants, crematories, and other facilities.For individual air emissions permits such as Title V Permits or FESOPs, the air permit application is a two-step process. First, the Construction Permit application is submitted so the source can be constructed or installed. After it is up and running, an Operating Permit application is submitted. There may be inspections, engineering certifications by a Florida Professional Engineer (P.E. ), and emissions testing required before the Operating Permit application can be submitted. The Operating Permit will contain general conditions and specific conditions which can include record keeping, testing, and reporting.Permitting requirements all originate with the Clean Air Act (CAA) passed years ago by Congress. EPA has promulgated regulations to implement the CAA. Florida Department of Environmental Protection (FDEP) has passed its own state regulations to enforce the EPA’s federal regulations. Check FDEP out at https://floridadep.gov. 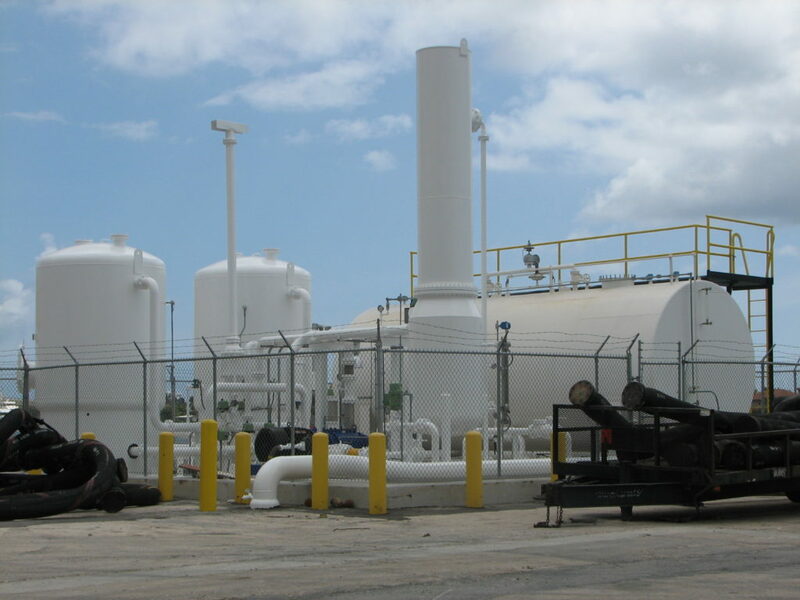 Therefore, in Florida the FDEP is the air permitting authority. So typically, the appropriate FDEP district office is contacted to determine permit requirements. For some of the larger counties, the counties themselves are the permitting authority for the FDEP. But, FDEP can tell you that. So, there you have it. A broad picture of air emissions permits in Florida. 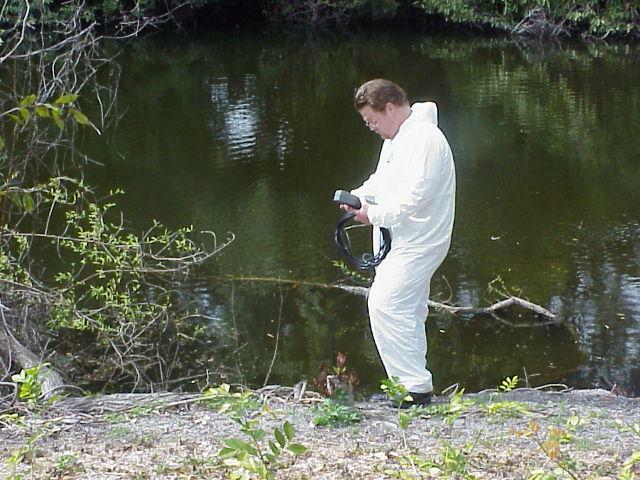 Let us know at (941) 795-2399 if we at Environmental Safety Consultants can help you. You will be able to breathe a lot easier! AuthorWDSPosted on May 31, 2018 October 23, 2018 CategoriesAir Emissions, Blog, Industrial Wastewater Permits. We have all been there. Suddenly, you seem to be sniffling whenever you’re at home or whenever you’re in your place of employment. It comes out of nowhere and doesn’t seem to go away. Your neighbors, co-workers, or other family members are not sick, just you, and it seems to be the worst when you are either in your home or at work. Few, if any people realize that indoor air pollutants might be the reason they immediately seem to catch a case of the sniffles when they get home or arrive at work. Health issues from these pollutants can range from headache and upper respiratory problems to a myriad of other ailments. Unfortunately, poor indoor air quality is not on most people’s radar screens. Consumer Reports estimates that only 9% of Americans consider it a threat to their health, while 70% aren’t concerned at all. The advent of tight buildings for energy conservation means that indoor air contaminants are trapped and build up. Furniture, furnishings, and cleaning products are other common sources of indoor air pollutants. A lot of claims as to zero emissions or all natural ingredients are not necessarily based on any established standards. Care must be used in mixing cleaning chemicals since poisonous gases can be produced. Poor indoor air quality can lead to other issues such as fatigue or thinking problems. This is why it is important to get your building checked if you think you may have indoor air pollutants of concern. These pollutants can be from microbiological organisms, chemicals, or particulates. They can come from leaks, printers, copiers, or combustion sources, among others. The risks associated with indoor air pollutants can be great. But even more risky is choosing an untested, untrusted firm to test your building. Environmental Safety Consultants has been in business for over 30 years providing quick, professional testing services for homeowners and companies alike. Environmental Safety Consultants is licensed, accredited, and certified to provide these services with a staff that has over 100 years of combined experience! Give us a call at (941) 795-2399 or (727) 538-4154 or send us a quick message for a speedy response on any indoor air pollutants questions you might have today. How Often Should Industrial Hygiene Testing Be Done? There is no OSHA regulation stating how often general industrial hygiene testing should be done. However, it should be done every one to two years, depending on what chemicals or particulates are being generated. Most of the larger manufacturers follow this schedule so recent data are always available. Many clients of Environmental Safety Consultants have different areas tested each year, so that all areas are tested at least every two years. If manufacturing methods change, then the testing must be done at that time. Those method changes include the chemicals, stock materials, or procedures. Regulations can change, as well, lowering the permissible limits, which may warrant retesting if the most recent results were below the old limit but above the new one. Of course, noise is usually tested in the plant annually and the audiometric testing for the workers must be done annually. Toxic mold is very misunderstood. Environmental Safety Consultants receives a lot of requests to do a mold inspection for “that black toxic mold”. That typically means they want to check for Stachybotrys chartarum. It also means that if we do not find that one, then there is nothing to worry about. That simply is not true. A lot of different types of mold can be toxic. Those include some common types such as Aspergillus, Penicillium, Curvularia, and, yes, even Cladosporium. The misunderstanding has come from all of the highly publicized information on Stachybotrys. When the potential health effects of mold are researched, it turns out that a lot of them can cause health problems for the wrong individual. Environmental Safety Consultants has been serving Clearwater and St. Petersburg, Florida from its corporate offices in Bradenton, Florida since 1986. ESC has opened a new regional office in Clearwater to more efficiently serve its clients in St. Petersburg, Clearwater, and Tampa. The firm is licensed by the State in Engineering, Asbestos, Mold, and Radon. It is also accredited in Lead Based Paint, Visible Emissions, and Environmental Site Assessments, plus has a Certified Industrial Hygienist and a Professional Engineer on staff. Contact ESC today for all of your environmental permits and compliance, industrial hygiene, and occupational safety needs. We are here to serve you, the client! Often laboratory results for bulk building material samples will show less than 1% asbestos. Almost as often, building owners or contractors will conclude they do not have to do anything about those materials. That is not necessarily true. These lab results mean that the lab technician saw asbestos fibers but that the concentration was less than 1%. Had the technician not seen any fibers, the results would have been none detected or non-detectable. The National Emissions Standards for Hazardous Air Pollutants (NESHAPs) regulation requires that these samples be point counted. The only other option is to assume they contain asbestos and comply with all applicable regulations. If the samples are point counted and the results are still below 1%, a NESHAPs notification is not required. 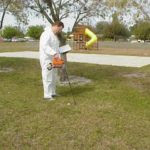 NESHAPs is administered in Florida by the Florida Department of Environmental Protection (FDEP) and several counties under contract with the FDEP. The fact that no notification is required has been misconstrued to mean no other requirements of any other agencies have to be met. That is not necessarily true. There are still requirements of the U.S. Occupational Safety & Health Administration (OSHA), U.S. Department of Transportation (DOT), Florida Statutes, landfills, and local government which may have to be met. OSHA has the less than 1% definition in its construction industry standard for asbestos abatement, but it also requires that disturbance of asbestos containing building materials not exceed OSHA’s Permissible Exposure Limit (PEL). Quite often when calculations are completed for the asbestos fiber concentration in air after disturbance of a building material with less than 1% asbestos, the PEL would be exceeded. In that case, OSHA’s abatement standard must be met. In short, caution must be exercised in deciding the course of action for asbestos concentrations less than 1%. The potential worker exposure, contamination of buildings, and associated liabilities may be far greater than 1% of the building contract! OSHA’s Hazard Communication Standard (HCS or Right-to-Know Rule) has been revised to align with requirements of the EU’s (European Union’s) Global Harmonization Standard (GHS). There are several deadlines from December 1, 2013 through June 1, 2016. The 2013 deadline was to train all employees on the new labels and Safety Data Sheets (SDS, formerly known as Material Safety Data Sheets or MSDS) that will be forthcoming with chemical products. There are nine hazard classifications and pictograms to universally communicate the hazards around the globe. The later deadlines concern revising your specific program and providing additional employee training for health or physical hazards.